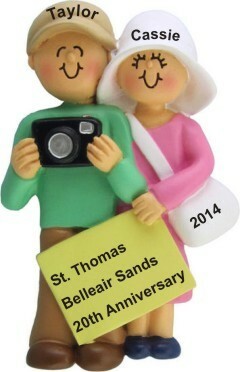 There's nothing more exciting than celebrating an anniversary. 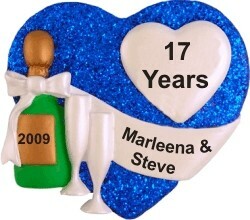 Whether the years are few or many, a personalized anniversary ornament is a great way to forever commemorate the special event. 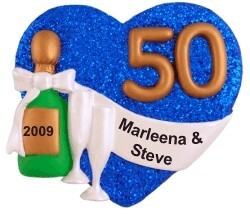 For the major milestones, we have several selections as a gift for 25th and 50th anniversary gatherings. 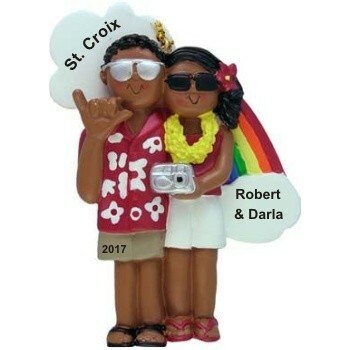 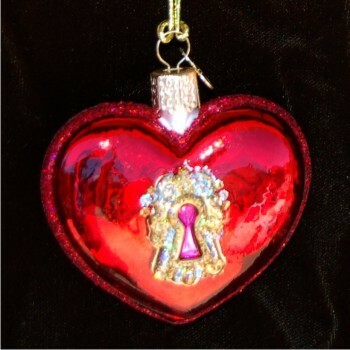 Equally as important, we offer anniversary ornaments tailored to our 1st wedding anniversary, as well as personalized anniversary Christmas ornaments that are open for any year. 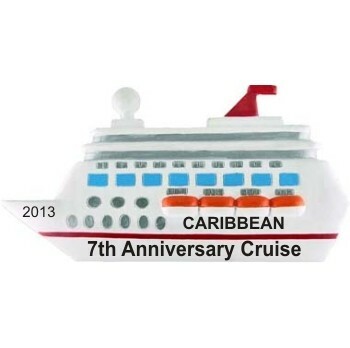 Specify our 5th anniversary, for example, or any other number of years you want to celebrate. 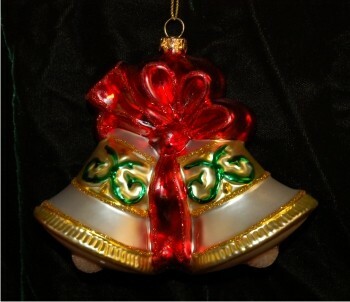 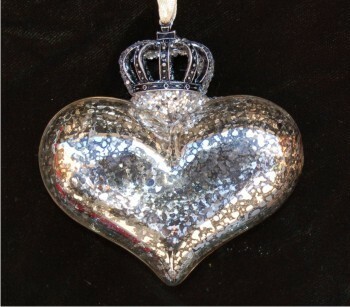 On the traditionally celebrated end of the spectrum, we offer traditionally silver ornaments for the 25th anniversary, gold tones for the 50th anniversary, and a host of unique anniversary ornaments for every year in between. 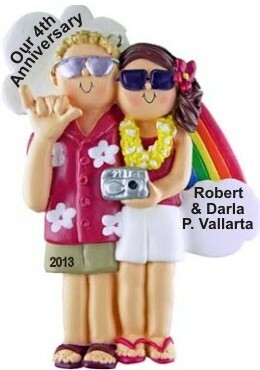 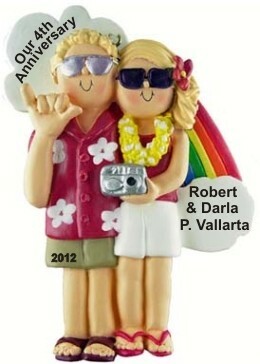 Most of our anniversary ornament ideas can be customized to say exactly what you need it to say, either to celebrate the event with your partner, or to find the exact, right gift for a special couple. 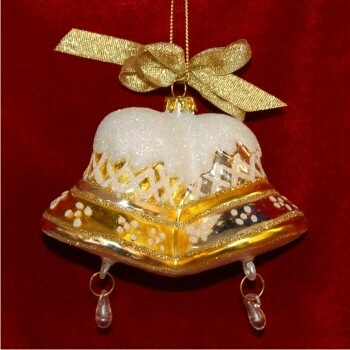 Our ornaments aren't just for wedding anniversary occasions; we present a number of ideas to celebrate the anniversary of a special job or employment opportunity. 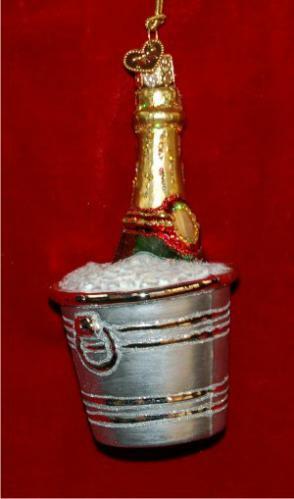 Some of our customers have given these as gifts or favors, and many work well for anniversary party ideas and in particular table decorations to celebrate the event. By special request, we are happy to create a custom anniversary gift just for you. 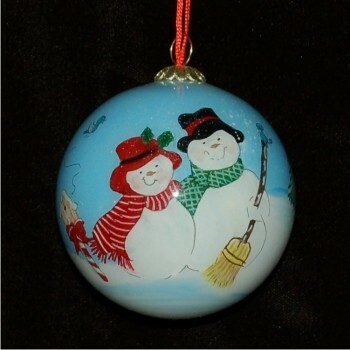 40th and 50th anniversary ornaments are becoming more and more popular. 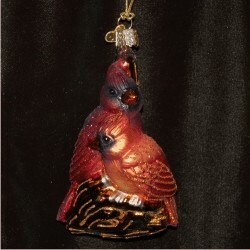 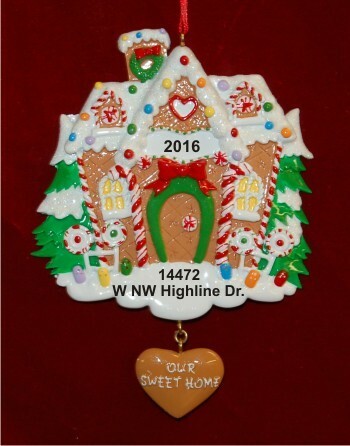 Choose any ornament from this category, and request a 30th or 40th anniversary ornament personalized just for your gift recipient. 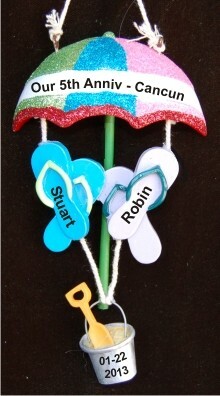 We're happy to be able to help you celebrate these special moments with family and friends.